Ekeler recorded no carries and hauled in three of five targets for 19 yards Sunday in the Chargers' 41-28 divisional-round loss to the Patriots. 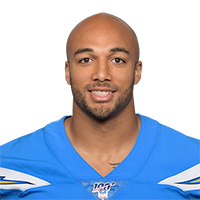 Ekeler (groin) rushed 11 times for 29 yards and brought in all four of his targets for 14 yards in the Chargers' 23-17 wild-card win over the Ravens on Sunday. Analysis: Ekeler shook off the groin issue that had him listed as questionable heading into the contest to put together an unremarkable but serviceable final line. 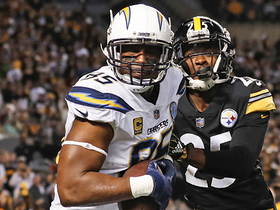 The change-of-pace back essentially handled a normal workload, and his availability became even more valued when backfield mate Melvin Gordon had to exit the game for a time with a knee injury. Ekeler will now look to manage his physical condition carefully over the next week ahead of next Sunday's divisional-round clash against the Patriots. Ekeler (groin) is officially active for Sunday's playoff game against the Ravens. Analysis: This was the expected outcome after Ekeler practiced throughout the past week, albeit in a limited fashion. The 23-year-old is thus slated to work in a complementary/change-of-pace role behind lead back Melvin Gordon in Sunday's wild-card contest. In doing so, Ekeler should maintain PPR utility in postseason fantasy contests. Ekeler (groin) is slated to be active for Sunday's game against the Ravens, Adam Schefter of ESPN reports. Analysis: Ekeler, who practiced this past week in a limited fashion, is thus poised to be available for Sunday's wild-card game. He'll continue to work in a complementary/change-of-pace role behind lead back Melvin Gordon, an assignment that provides Ekeler with a degree of PPR utility. Ekeler (groin) is listed as questionable for Sunday's wild-card game at Baltimore. Analysis: Contained to only some activity in practice this week due to a groin injury, Ekeler could be in danger of sitting out for the third time in four games. That said, he'll serve in a complementary role to Melvin Gordon this weekend, if Ekeler is active. That gig translated to 8.5 touches for 73.7 scrimmage yards per game for Ekeler in the 11 contests in which both running backs were active this season. Ekeler (groin) logged a limited practice again Thursday. Analysis: Ekeler's groin issue has limited him in each of the first two practice sessions to begin the week, leaving his status somewhat unclear. Friday's injury report should provide a bit more clarity on his status, though Melvin Gordon figures to lead the way for the Chargers' backfield regardless. Ekeler was limited at Wednesday's practice by a groin injury. Ekeler posted eight rushes for 58 yards and one touchdown but didn't haul in his only target during Sunday's 23-9 victory in Denver. Ekeler (concussion/neck) was a full participant in practice Wednesday. Ekeler (neck/concussion) practiced Wednesday, Eric D. Williams of ESPN.com reports. Analysis: Ekeler is thus trending in the right direction as Sunday's game against the Broncos approaches. If he's able to play this weekend, Ekeler would be in line to work in a change-of-pace role behind top back Melvin Gordon, likely bumping rookie Justin Jackson down to the No. 3 role. Coach Anthony Lynn expects Ekeler (neck/concussion) to return Sunday at Denver, Jeff Miller of the Los Angeles Times reports. Analysis: Lynn may be hinting that Ekeler has gained clearance from the concussion protocol, but official word on that front has yet to emerge. Perhaps working in Ekeler's favor was his limited listing on the final Week 16 injury report before he was ruled out for Saturday's eventual loss to the Ravens. In the end, his activity level will be watched closely to get a bearing on his potential to play in the Chargers' regular-season finale. The Chargers downgraded Ekeler (neck/shoulder) from doubtful to out ahead of Saturday's matchup with the Ravens. The Chargers list Ekeler (neck/concussion) as doubtful for Saturday's game against the Ravens. Ekeler (neck/concussion) didn't practice Wednesday, Eric D. Williams of ESPN.com reports. Analysis: Back-to-back missed sessions do not bode well for Ekeler's chances of playing Saturday against the Ravens, though his Week 16 status is of less import than it has been of late. The Chargers are expected to get Melvin Gordon (knee) back from a three-game absence this weekend, so Ekeler would be relegated to a complementary role in the backfield if he's able to suit up. Ekeler (neck) did not take part in practice Tuesday, Eric D. Williams of ESPN.com reports. Coach Anthony Lynn said Monday that Ekeler (head/neck) is still in the concussion protocol, Eric D. Williams of ESPN.com reports. Ekeler (neck/concussion) has a chance to return for Saturday's game against the Ravens, Adam Schefter of ESPN reports. Analysis: Ekeler was unable to play in Thursday's 29-28 win over the Chiefs just four days after suffering a neck injury and concussion. He does have a shot to make it back with the Chargers on a long week of rest this time around, but a return won't necessarily equate to a starring role in the offense, as Melvin Gordon (knee) also has a chance to suit up. Ekeler (neck/concussion) has been ruled out for Thursday's game against the Chiefs. Analysis: Meanwhile, top running back Melvin Gordon (knee) is listed as questionable for the contest, with his status likely to come down to a game-time call. With Ekeler unavailable, Justin Jackson would be next in line to handle the bulk of the Chargers' carries Thursday if Gordon is limited or out. Ekeler (neck/concussion) didn't participate in Tuesday's practice. Coach Anthony Lynn said he's "not optimistic" that Ekeler (neck/concussion) will be available for Thursday's game against the Chiefs, Steve Wyche of NFL Network reports. Ekeler (neck/concussion) was listed as a non-participant on Monday's estimated injury report. Ekeler (neck) is considered day-to-day, Eric D. Williams of ESPN.com reports. Ekeler has dealt with stingers of late, according to Adam Schefter of ESPN, and will require testing after aggravating the injury in Sunday's victory over the Bengals. 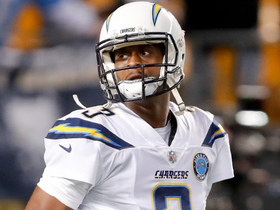 Ekeler totaled 94 yards from scrimmage and a touchdown in Sunday's victory over the Bengals, but he also suffered an unspecified injury attempting to field an onside kick late in the game, Eric D. Williams of ESPN.com reports. Ekeler could continue to split backfield work with Justin Jackson during Sunday's game against the Bengals, Kyle Posey of USA Today reports. "[Ekeler's] wearing down a little bit. He's a core special teams guy for us and he's played a lot of running back for us," coach Anthony Lynn said. "So he's a little tired. You might see Justin play a little bit more, you might see [Detrez] Newsome play some this week." Ekeler rushed 13 times for 21 yards and caught five of eight targets for 22 yards in Sunday's 33-30 win over the Steelers. Coach Anthony Lynn believes Ekeler will have no problem holding up as an every-down back, Eric D. Williams of ESPN.com reports. "That's why you see him running through tackles," Lynn said. "That's why you see him creating yards after contact. He's not a big back, but he can do those type of things." Ekeler carried the ball five times for 35 yards and scored a touchdown, and also caught 10 of his 11 targets for 68 yards in the 45-10 win Sunday over the Cardinals. Melvin Gordon (hamstring/knee) is listed as questionable for Sunday's contest against the Cardinals, which could set up Ekeler for an increased role. Ekeler (neck) returned to a full practice Thursday. Analysis: Meanwhile, top back Melvin Gordon (hamstring/knee) was added to the Chargers' Week 12 injury report after being limited Thursday. If Gordon is hampered at all this weekend against the Cardinals, added opportunities would be available for Ekeler. Ekeler was a limited participant at practice Wednesday due to a neck injury. 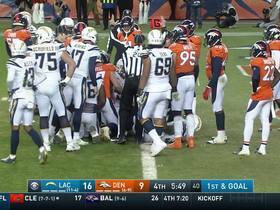 Analysis: Jeff Miller of the Los Angeles Times suggests that Ekeler may have gotten dinged up near the end of the Chargers' Week 11 loss to the Broncos. On the plus side, the running back's injury doesn't appear to be overly serious since he wasn't withheld from practice entirely. Assuming Ekeler is cleared to play against the Cardinals this weekend, he should be ready to handle his usual complementary role behind starter Melvin Gordon. Ekeler carried the ball six times for 29 yards and also caught both of his targets for 40 yards in the 23-22 loss to the Broncos on Sunday. Analysis: Ekeler had three separate plays of 10 yards or longer, continuing to reprise his role as an explosive change-of-pace back. Given the second-year player has seen just one game with more than 10 touches in the last six contests, he remains a fringe fantasy option, but his value would obviously take a substantial jump if Melvin Gordon were to miss any time. Ekeler carried the ball three times for 19 yards in the 20-6 win over the Raiders on Sunday. He did not record a target. 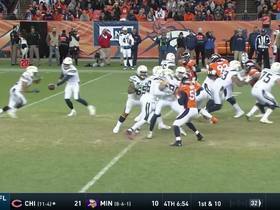 Analysis: Only five players actually received a target as Philip Rivers efficiently dissected a mundane Raiders defense all afternoon. Ekeler actually had a touchdown called back on a holding penalty, which would have aided an otherwise disappointing fantasy performance, but he remains a comfortable change-of-pace option behind starter Melvin Gordon. Ekeler carried the ball three times for 21 yards and also caught one of his two targets for 13 yards in the 25-17 win over the Seahawks on Sunday. Ekeler will likely move into the No. 2 role out of the backfield Sunday against the Seahawks with Melvin Gordon (hamstring) expected to play, Adam Schefter of ESPN reports. Ekeler rushed for 42 yards on 12 carries, and hauled in five of seven targets for 26 receiving yards during Sunday's 20-19 win against Tennessee. Ekeler is expected to serve as the Chargers' lead back for Sunday's game against the Titans in London with Melvin Gordon (hamstring) inactive for the contest. Ekeler rushed for 60 yards on seven carries and wasn't targeted in the passing game during Sunday's 38-14 win over Cleveland. Analysis: Ekeler once again provided a serviceable fantasy performance with limited touches. He's racked up 56 or more scrimmage yards in every game this season despite getting seven touches three times, 10 touches twice and 14 touches once. Ekeler's role is clear ahead of a Week 7 matchup with Tennessee. Ekeler carried the ball six times for 15 yards and caught a 44-yard pass for a touchdown in Sunday's 26-10 win over the Raiders. 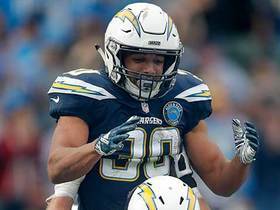 Analysis: Ekeler yet again made his limited opportunities count, converting a frantic checkdown from Philip Rivers into a touchdown late in the second quarter, his second score in as many weeks. Ekeler's numbers will continue to be limited as long as Melvin Gordon continues to receive the lion's share of opportunities out of the backfield. Still, given the second-year halfback's role in the Chargers offense, he's a viable flex option, particularly in PPR leagues. Ekeler rushed eight times for 25 yards and caught two passes for 31 yards and a touchdown in Sunday's 29-27 win over San Francisco. Analysis: It was a season-low yardage total for Ekeler, but he still salvaged his day with a 22-yard catch for a second-quarter touchdown. After coming into the game averaging 8.1 YPC, the 23-year-old was held to just 3.1 in this contest. He'll continue to handle change-of-pace duties behind Melvin Gordon at home against Oakland in Week 5. Ekeler carried the ball four times for 47 yards and caught all three of his targets for 24 yards in the 35-23 loss to the Rams on Sunday. He also lost a fumble. Ekeler compiled 11 rushes for 77 yards and three catches (on three targets) for 21 yards during Sunday's 31-20 victory at Buffalo. Analysis: As an undrafted rookie last season, Ekeler surpassed 90 scrimmage yards just once, despite cranking out 7.3 yards per touch. He hasn't been lacking for opportunity this year, though, totaling 24 touches through two games. Ekeler earned six of them after Melvin Gordon left this contest with 11:56 remaining in the fourth quarter. If Gordon's health is impacted moving forward, Ekeler would be the main beneficiary out of the Chargers backfield. Ekeler had five carries for 39 yards and caught all five of his targets for 87 yards with a touchdown in Sunday's 38-28 loss to the Chiefs. Analysis: Ekeler scored the first touchdown of the season for the Chargers on a 13-yard pass from Philip Rivers in the second quarter. He continued to stay involved throughout, although starter Melvin Gordon finished with 166 yards on 24 touches. The second-year Ekeler is one of the better change-of-pace backs in the league, but isn't likely to put up big numbers, unless something happens to Gordon. Ekeler rushed six times for 50 yards and one touchdown during Saturday's preseason game against the Saints. He also secured all three of his targets for 13 yards. Ekeler (calf) is present at practice Tuesday, Jack Wang of the Los Angeles Daily News reports. Analysis: Ekeler was absent from the Chargers' preseason Week 2 outing against the Seahawks due to a sore calf, more so as a precaution than anything, per coach Anthony Lynn. As such, it's no surprise that Ekeler is back in the fold Tuesday, but his level of participation may still be capped with an eye toward his health. When healthy, he'll act as a pass-catching complement to Melvin Gordon. Ekeler sat out of Saturday's 24-14 preseason win over the Seahawks with a sore calf, Eric D. Williams of ESPN.com reports. Analysis: Williams added that coach Anthony Lynn said Ekeler could've played if it were a regular season game, meaning the Chargers were just practicing caution with their dual-threat running back. Ekeler had 47 carries for 260 yards and two touchdowns while hauling in 27 passes for 279 yards and three scores in his rookie campaign. He's the clear handcuff to Melvin Gordon. Ekeler had five carries for 22 yards and two receptions for 42 yards in Saturday's preseason loss to Arizona. Analysis: Ekeler looks set to begin the season as the No. 2 running back with Justin Jackson struggling with a hamstring injury. Melvin Gordon is locked in as the workhorse for early downs, but he may cede a few more snaps to Ekeler in passing situations this season. Ekeler is listed as the No. 2 running back on the Chargers' initial depth chart, Jack Wang of the Los Angeles Daily News reports. Ekeler faces competition for the backup role after the Chargers selected Justin Jackson in the seventh round of the 2018 NFL Draft. Ekeler's broken left ring finger has healed, allowing him to go through a daily offseason workout regimen while completing his degree at Western State Colorado, ESPN.com's Eric Williams reports. Ekeler (hand) finished his rookie season with 47 carries for 260 yards and two touchdowns, as well as 27 receptions for 279 yards and three touchdowns. Ekeler (hand) is active for Sunday's Week 16 tilt against the Jets. Analysis: As expected, Ekeler will take the field, but the broken ring finger on his left hand will reportedly limit him exclusively to special teams work. Ekeler's expected absence from the ground game bodes well for Melvin Gordon owners heading into their championship games and should also afford Branden Oliver some touches as the change-of-pace back. Ekeler (hand), who is listed as questionable for Sunday's game against the Jets, is expected to play, but is unlikely to take any snaps at running back, Ian Rapoport of NFL Network reports. Analysis: Ekeler will likely play through a cast on the broken hand he suffered in the Week 15 loss to the Chiefs, which makes it difficult for him to secure the football. As a result, he'll be unavailable in his usual pass-catching and change-of-pace role behind starting running back Melvin Gordon, but Ekeler will still remain a mainstay on the team's kick-coverage units. Look for Branden Oliver to instead work as Gordon's top backup. Ekeler (hand) is listed as questionable for Sunday's road game against the Jets. Analysis: If Ekeler does take the field Week 16, a large club will be protecting the broken ring finger on his left hand. As such, his pass-catching viability is more or less not an option, making him a candidate to receive the occasional carry or two behind Melvin Gordon. More than likely, though, Ekeler will uphold his status as a gunner on the punt team. The preceding is assuming he bypasses his status as a game-time decision and avoids the inactive list Sunday. Ekeler (hand) will likely be a game-time decision for Sunday's matchup with the Jets, Eric D. Williams of ESPN.com reports. Analysis: Ekeler remained limited in practice for the second straight day Thursday, as he continues to test out his effectiveness while playing with a club to protect a broken ring finger on his left hand. Considering the ball-security issues that his cast might present, Ekeler will most likely be limited to a special-teams role if he suits up in Week 16. Ekeler (hand) was a limited participant at Wednesday's practice, sporting a large cast over his broken left hand, Mike DiGiovanna of the Los Angeles Times reports. Analysis: Judging by the size of the cast, Ekeler presumably will be limited to special teams if he's cleared to play in Sunday's game against the Jets. 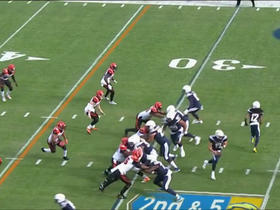 His role as a passing-down back is out of the question, and it also appears he'd have difficulty taking handoffs. Branden Oliver will serve as the top backup to Melvin Gordon, who could get a few extra targets with Ekeler out of the backfield rotation. Ekeler could potentially play the rest of the season with a cast on his broken hand, but he wouldn't be able to catch passes, Jack Wang of the Los Angeles Daily News reports. Analysis: This would make more sense if not for the fact that Ekeler gets most of his playing time on passing downs. The Chargers apparently are entertaining the idea, but it still seems more likely they shut Ekeler down for the rest of the season. Branden Oliver is expected to take over as the No. 2 running back, with Melvin Gordon potentially handling a larger share of the passing-down work. Ekeler (hand) will miss the rest of the season, Dan Woike of The Los Angeles Times reports. Ekeler was diagnosed with a broken hand following Saturday's 30-13 loss to the Chiefs, Ian Rapoport of NFL Network reports. Analysis: Ekeler picked up the injury in the second half, finishing the outing with 19 yards from scrimmage and a lost fumble. The Chargers have yet to issue a comment on Ekeler's injury, but the expectation is that the rookie running back will miss the rest of the season. His likely absences paves the way for Branden Oliver to reenter the Chargers' backfield mix as the top backup to Melvin Gordon. Ekeler suffered a hand injury in Sunday's 30-13 loss to the Chiefs and could miss time as a result, Dan Woike of the Los Angeles Times reports. Ekeler carried the ball four times for 49 yards but did not catch any of his three targets in the 30-13 win over the Redskins on Sunday. Analysis: Most of Ekeler's yardage came from a 33-yard run to end the second quarter as the Chargers raced out to a commanding lead early. 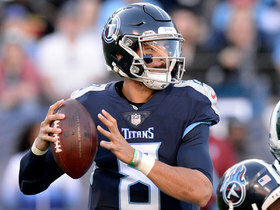 It likely speaks to the undrafted rookie's place within the offense that the Chargers opted to use Andre Williams almost exclusively in the fourth quarter as they iced away the win, choosing to keep Ekeler healthy instead of trotting him out on the field with the game well in hand. The 22-year-old should continue to operate as the No. 2 back for the foreseeable future. 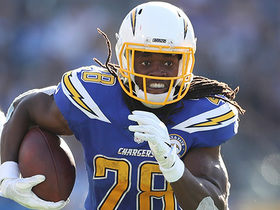 Analysis: Ekeler was efficient with his limited opportunities, yet again posting a higher yards-per-carry average (4.8) then starter Melvin Gordon (4.1), but the lack of total touches ultimately doomed his day in terms of fantasy value. As it has been for the majority of the season, the explosive backup is merely a depth option for owners so long as Gordon is healthy. Ekeler carried the ball six times for 15 yards and also caught all three of his targets for 55 yards in the 28-6 win over the Cowboys on Thursday. Analysis: Ekeler did most of his damage through the air Thursday, at one point splitting out wide during a critical possession in the third quarter and hauling in a 38-yard reception against an overmatched linebacker. The undrafted rookie has quietly put together an impressive campaign, but his fantasy value remains limited so long as Melvin Gordon continues to take the lion's share of the carries. Ekeler carried six times for 40 yards and a touchdown during Sunday's 54-24 victory over the Bills. He also secured both of his targets for 18 yards. Analysis: The rushing workload between Ekeler and starter Melvin Gordon, who received 20 carries Sunday, wasn't nearly as close as it was last week when Ekeler saw 10 attempts compared to Gordon's 16. Still, Ekeler continued to showcase his quick-twitch running style by busting out a 21-yard yard touchdown run in garbage time. The undrafted rookie now has found the end zone four times in the past four weeks with five total scores on the season. Ekeler carried the ball 10 times for 42 yards and caught all five of his targets for 77 yards and two touchdowns in the 20-17 loss to the Jaguars on Sunday. Ekeler also fumbled once. 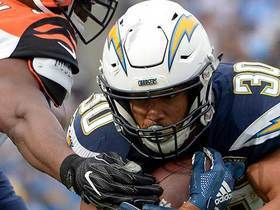 NFL Network's Steve Wyche has an update on the Los Angeles Chargers' running back situation heading into Week 15's contest against the Kansas City Chiefs. "NFL Fantasy Live" crew discusses their best predictions with a humble brag for Week 14. Los Angeles Chargers running back Austin Ekeler picks up 21 yards on a screen pass from his quarterback Philip Rivers. 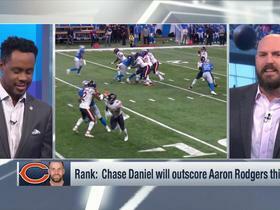 NFL Network's Marcas Grant and Adam Rank offer some of their biggest hot takes for Week 13 action.